This summer Project ArAGATS is continuing our preliminary survey of the upper Kasakh River valley, performing systematic pedestrian survey, aerial photography and photogrammetry, geophysical analysis, and test excavations between the villages of Alagyaz, near the Kasakh headwaters, and Kuchak, at the Aparan Reservoir. 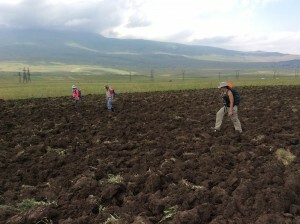 Survey walkers in the upper Kasakh River valley. Mt. Aragats in the distance. 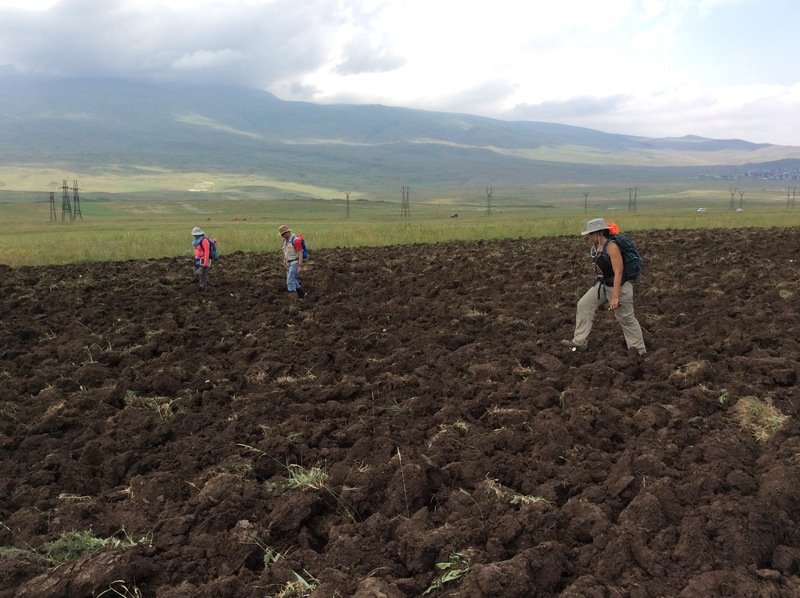 Survey walkers have been traversing the ridge tops and upland slopes of the Tsaghkunyats Range and Mt. Aragats, the broad Kasakh flood plains, and the river’s deeply cut gorge as it wends it way south, ultimately joining the Araxes River in the Ararat Valley. 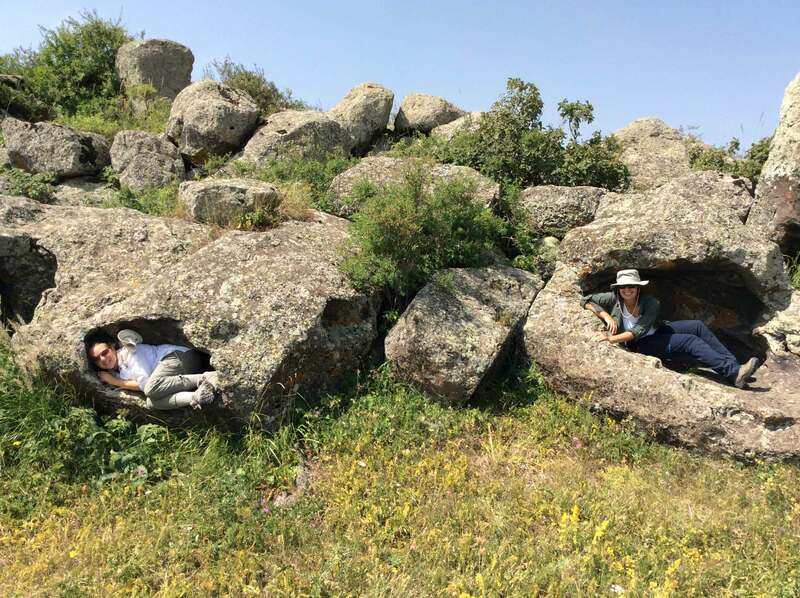 We record remains of human activity from the Paleolithic through the early 20th century, photographing and mapping architecture and cemeteries, collecting surface materials, and evaluating Soviet-era land management practices and their impact on the archaeological record. Surveyors talking a break amid some ancient architecture in the upper Kasakh River Valley. The upper Kasakh Valley survey will be an ongoing project, so look for updates over the next several years!